Yes! 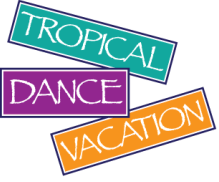 Sign me up for Tropical Dance Vacation 2018! To register by mail, please download, fill out and mail with check enclosed. Please print a separate form for each participant, complete, and enclose a check for $200 deposit per person payable to George Marshall. Full fee per person (total based on accommodation type) is due by December 15, 2017. You can still sign up after December 15th and pay the full amount, if there is still space. Fill out the form below and click on "SUBMIT", then send your check to the mailing address above to reserve your spot. You will receive an email confirmation within 24 hours. Please specify roommate gender, name a specific friend or relative, request a quiet sleeper, etc. CANCELLATION POLICY: $100 is non-refundable per person after November 15, 2017. Full fee is non-refundable after December 15, 2017. You may wish to consider obtaining Trip Cancellation Insurance to protect your investment in the event that you must cancel after December 15, 2017.